“We wanted to create a mod look, but bring it into this millennium with really clean, glowing skin and a dramatic eye,” says Bailey. *Create the perfect canvas for any makeup look – a flawless, glowing complexion – with Bioré® Acne Clearing Scrub ($6.49; drugstores nationwide). 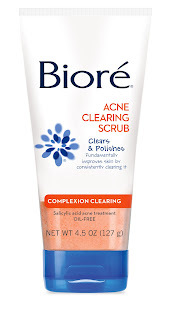 Bioré® Acne Clearing Scrub gently cleanses and polishes skin without harsh side effects or over-drying. *Apply a sheer, lightweight foundation for an even glow. *Accentuate the eye by lining the top and bottom lash line with a waterproof crème liner. Apply a thin line in the crease of the eye to further emphasize the 'mod' look. *Using the same waterproof crème liner, paint tiny strokes between bottom lashes to eliminate the need for false eyelashes and create a retro feeling. 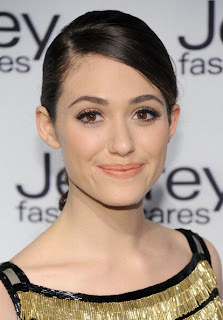 *Apply a strip of full, black false eyelashes on the top lashes to create a doe-eyed effect. *Apply a coat of waterproof black mascara on top and bottom lashes to finish the dramatic eye look. *Highlight using a radiant, creamy concealer in a light shade along the brow bone. *Apply a satiny lip pencil, a shade or two darker than the lips' natural shade, to accentuate lips' natural color while keeping the look clean and modern. *Apply a crème blush or bronzer to cheekbones rather than a traditional powder blush to keep cheeks dewy and fresh-looking. *Finish with a dusting of matte powder in a transparent shade across the T-Zone to eliminate shine.